Established in 1962, MAEDA SEISAKUSHO CO. LTD has grown to be the world’s largest manufacturer of mini crawler cranes and spider cranes. Pace Cranes have been associated with Maeda for over 27 years and are the Australian, New Zealand and Pacific distributor of Maeda equipment. 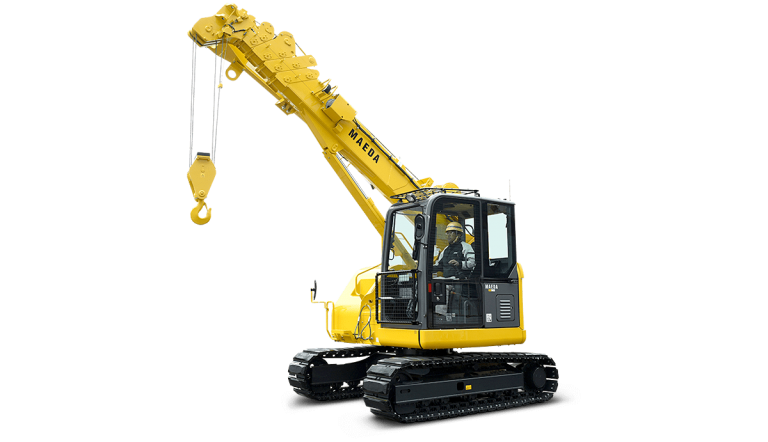 Pace Cranes should be your first and last stop for mini crawler crane sales. Time and again these innovative machines are proving their worth. From panelling and cladding, through the full spectrum of glass handling to restoration projects, specialist lifting applications or in restricted areas on domestic and construction sites. Their compact dimensions and ability to maneuver mean that in many lift situations they replace the need for much larger cranes. Maeda have been producing these mini cranes in Japan since 1980 and are market leaders in Australia with over 80% market share.